So…I’ve never written a review on anything let alone makeup. Also I’m not a huge fan of makeup either. It takes way too much effort and I don’t like having stuff on my face. So I’m pretty (actually VERY) apprehensive to write this review. I’m the girl who normally leaves the house clean-faced and might slap on some lip balm on a good day. But I’ll do my best and pray that this doesn’t come out awful (fingers crossed). 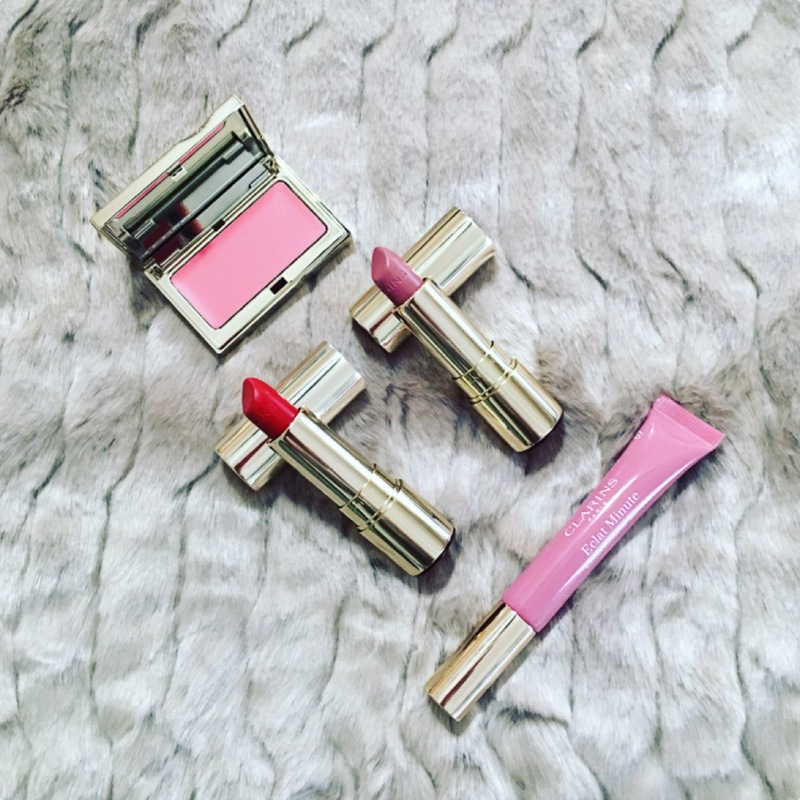 Two years ago I went to my very first blog event – a preview of Clarins’ newest products – and never wrote a review (sorry). My personal favorites were the green Crayon Khôl Eye Pencil (which I actually bought an extra of) and the pink Instant Light Lip Balm Perfector (one of the few things I like to put on my lips besides Vaseline). I was invited again this year and I’m determined to at least attempt a decently written review since I forgot last time. 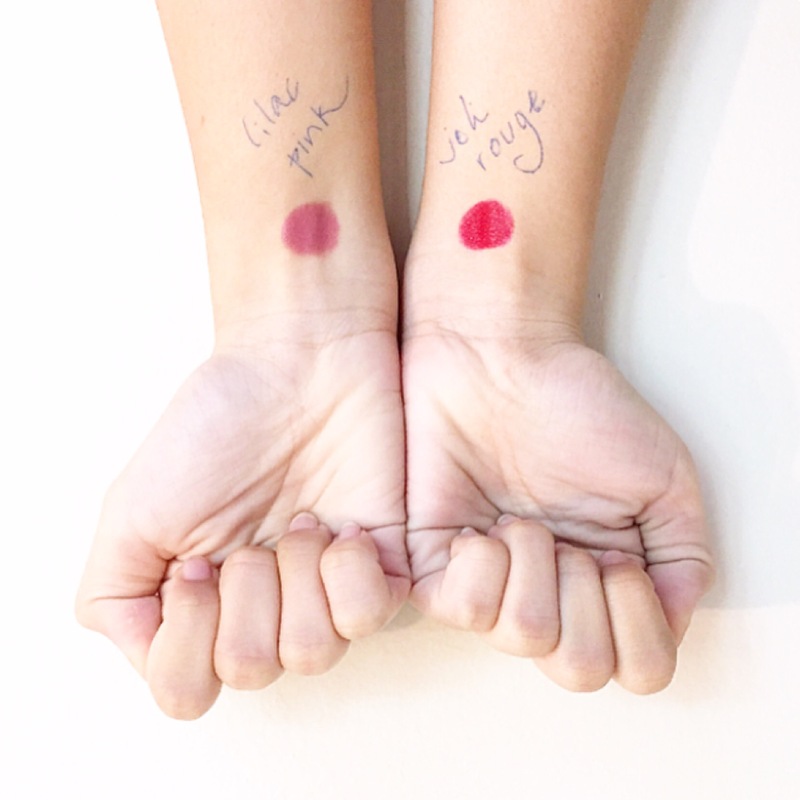 I first tried on the lipsticks from the Clarins Joli Rouge line – Joli Rouge and Lilac Pink. Honestly, I don’t love the colors, but if you’re someone who’s into more stark colors then these lipsticks are meant for you. When I first opened the Lilac Pink it looked more like mauve than pink, which confused me deeply. But once I applied it, it looked more like the pink its name suggests. The same thing goes for the Joli Rouge. It looked scarlet-pink but it’s basically red. As I said before, I’m not a huge fan of these colors mostly because I don’t think they go well with my skin tone. I will say though, the lipsticks smell delicious. Like raspberry candy delicious. The second product I tried was the toffee pink shimmer Instant Light Natural Lip Perfector (dang that was a mouthful). Ignore the toothbrush in the background. 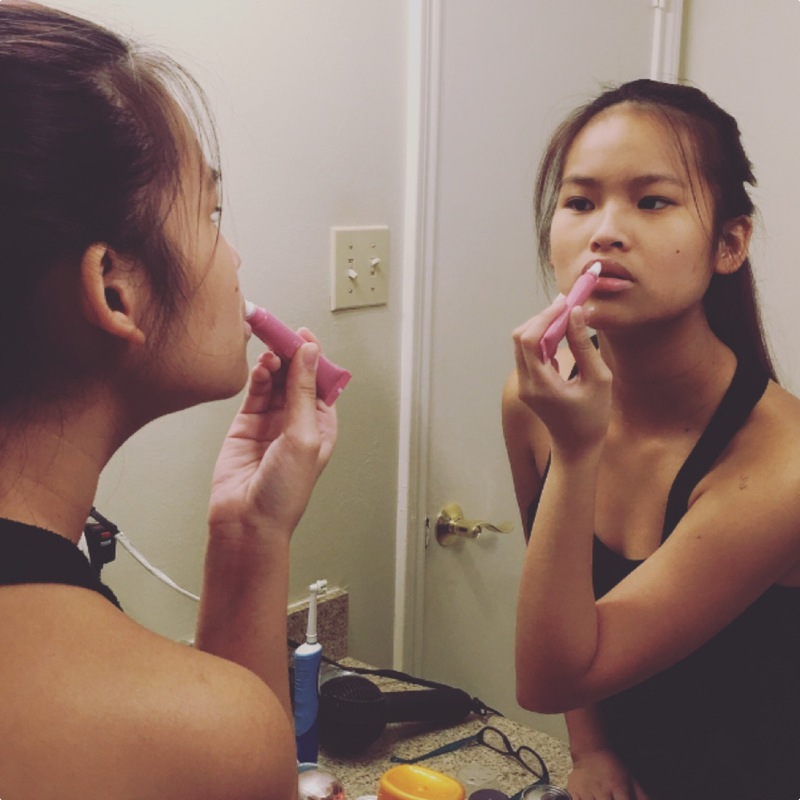 Now I’m not sure if it actually does “perfect” your lips, or what that even means, but I like the color. It’s a nice shade of pink, it’s subtle, and it’s natural-looking. I might be biased since I’m more into the less “aggressive” colors. But I really hate that it’s glossy. Since my hair is long and fine, it constantly falls across my face and becomes sticky from the gloss. Aside from that, it’s a nice product. 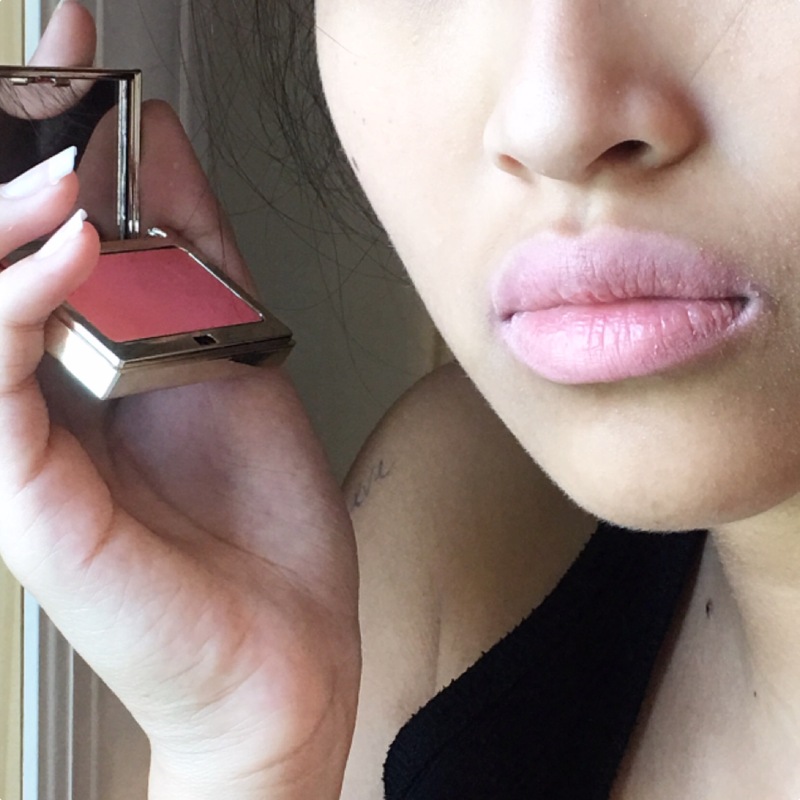 The final product I tried was my favorite of the lot – the Multi-Blush. Please ignore my dry lips. As referenced in its name, it has many uses. You can use it as a blush, as a lip balm, and if you want to be a little adventurous, you can even use it as an eyeshadow. I prefer this product over the others because it’s light. You decide how vibrant you want the color to be by applying as many layers as you wish. Overall, they’re decent products. Would I use them on a regular basis? Probably not. But they’re not the worst products I’ve ever encountered. Give it a try. Your mileage may vary. I must say that I do like that lip perfector on you although I understand the stained cheek fear thingy.